 Situated minutes from KOP Town Center & KOP Mall, Hanover King of Prussia luxury apartments delivers the heart of the city at your doorstep. Just a short walk away is the bustling KOP Town Center, packed with retail, restaurants and activities. You can enjoy amazing Brazilian style steak at Fogo de Chao, find the next perfect outfit at Nordstrom Rack or even kick start your fitness at LA fitness. KOP Town Center has it all, while only being minutes away. If being outdoors is more of your cup of tea, you're in luck Valley Forge National Historical park is in your backyard. Hanover King of Prussia is also conveniently located next to major highways. Hop on to highway 76 (Pennsylvania Turnpike) or onto Highway 422. With such easy access to highways, travel to and from Philly will be a breeze. Enjoy a new way of living, with proximity to amazing retail and restaurants in the heart of King of Prussia, PA.
View our unique floorplans or contact our leasing office today for more information!